I am very into high necklines right now. I am sure it has to do with the freezing temps here in NY that is making me want my neck covered at all times. Yes, obviously there are scarves, but when I can be creative, I like to be. This shirt was last worn here over the summer. 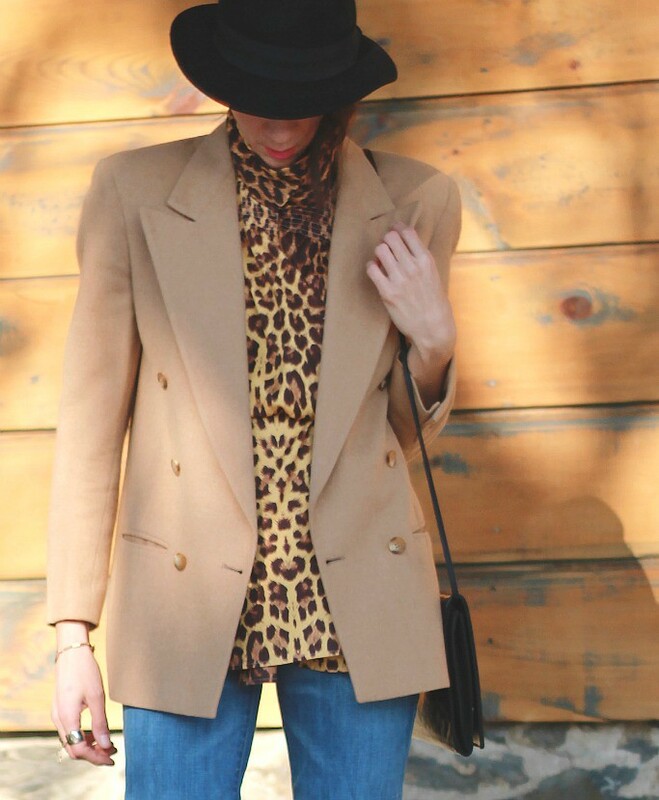 I had the urge for leopard, so I simply decided to stand the collar up, overlap it a bit and pin. I also belted it around the waist to hold the whole thing in place. A pretty classic look, no? This entry was posted on Wednesday, December 18, 2013 and is filed under blue,brown,prints. You can follow any responses to this entry through the RSS 2.0. You can leave a response. that is a great outfit! A really great "boy meets girl" look!! 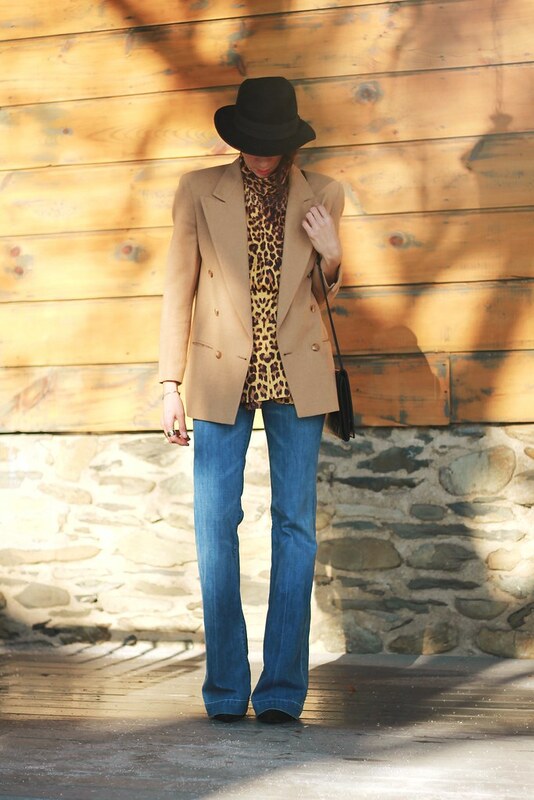 Kudos for re-working the leopard blouse this way...with the denim flares and NO jacket, this would have a definite boho vibe; but your boxy topper brings it downtown all the way!! Terrific look! I love wide pants. 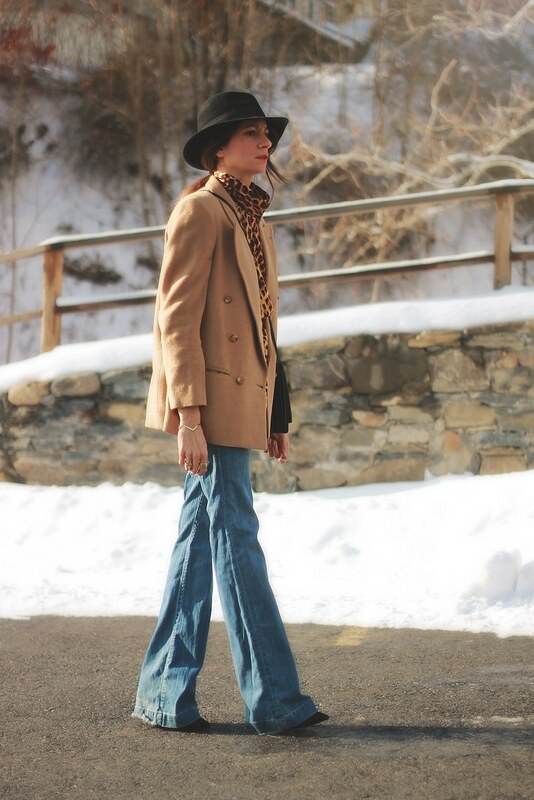 This has a great 70s boho vibe, but is still fresh and classic. At first I didn't notice you in these pictures! So different than your usual outfits...but it looks so cool! Nice!! SOOOO Ali McGraw 70s fab it is killing me softly. Seriously one of my faves of yours. ahh stop it….this is stunning. 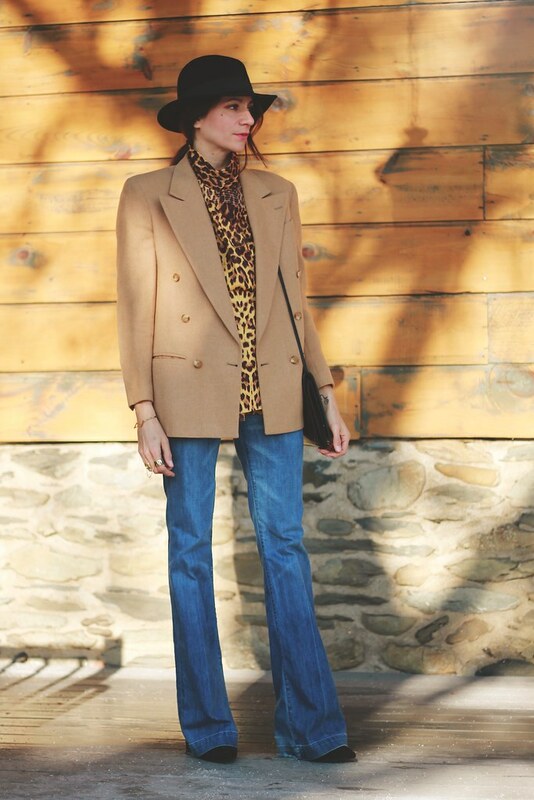 yes definitely classic but chic and edgy because of the jeans….that blazer was one of the best finds you've made all year!!!! 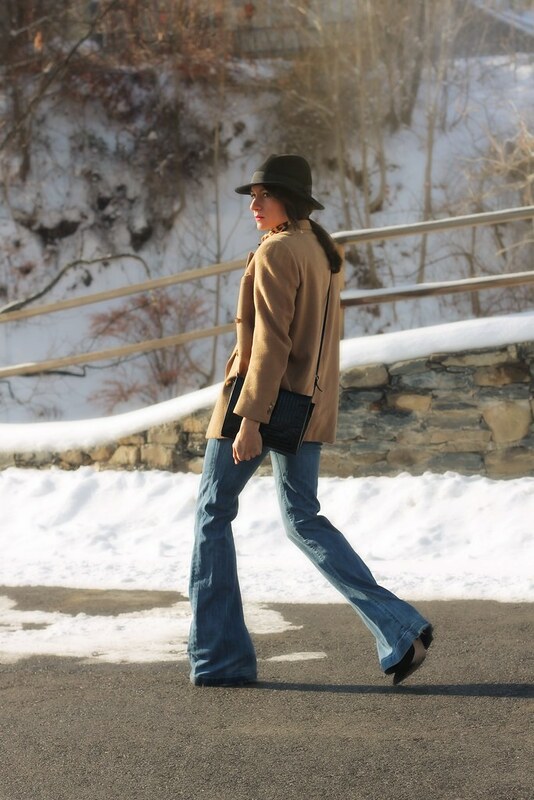 The high neckline and these jeans make you look so tall and slender! Love the hat on you too. You look amazing! High necklines are so classic! This is absolutely stunning. Very sophisticated, but with a nice casual feel. Love the androgynous vibe of this look Sheree....you carry it so well! HAPPY HOLIDAYS! !